The uninhabited Axel Heiberg Island is located in the High Arctic within the Canadian territory of Nunavut. With an area of approximately 37,185 km2 (14,357 square miles), it is the fourth largest island in the Queen Elizabeth Islands. Axel Heiberg Island extends from 78°08' N to 81°21' N and from 85°00' W to 96°00' W and is the second most northerly island in the Canadian Arctic Archipelago. The island measures 380 by 220 km and is roughly oval-shaped and deeply indented by several long fjords. The climate of Axel Heiberg Island is a combination of polar tundra and polar ice climates, resulting in cold polar desert and semidesert conditions. The mean annual air temperature at the Eureka weather station is -19.7°C and the mean annual precipitation is 58 mm. Eureka is the nearest long-term weather station, only 20 km from east central Axel Heiberg. These climate data are probably typical of the east side of the island, but seasonal data from the west side (McGill Arctic Research Station) indicate higher levels of precipitation. Axel Heiberg's topography is predominantly alpine, characterized by a central mountain range (Princess Margaret Range) 915-1830 m (3000-6000 ft) high and a dissected plateau. The highest point is White Crown Mountain (2120 m above sea level). The perimeter of the island is marked by rugged hills, extensive eastern coastal lowland, and several large fjords (Li, Middle, Strand, Expedition, Glacier, Wolf, and Skaare fjords) and bays (Good Friday, Sand, and Whitsunday bays). Two large ice caps (Müller and Stacie ice caps), several smaller highland ice caps, and many glaciers dominate the interior. About 31% (roughly 11,734 km2) of the island is covered by approximately 1100 glaciers. Accordingly, glacial and glacial fluvial deposits are widespread. 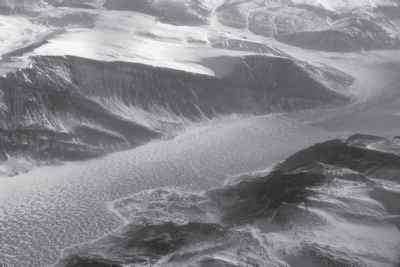 Most valley glacier systems have well-developed terminal moraine complexes. At the last glacial maximum (c.9000 years BP), ice cover was far more extensive. Widespread glacial drift deposits mark the former glacier positions. Axel Heiberg lies in the Eureka Sound Fold Belt on the eastern side of the Sverdrup Basin, an area of sedimentary rocks reflecting alternating periods of nonmarine and marine deposition ranging from lower Pennsylvanian to the early Tertiary Age. Periods of intensive folding and faulting during the early Tertiary produced the mountainous topography that characterizes much of the island. Evaporite deposits of upper Paleozoic age were tectonically intruded into the overlying Sverdrup Basin sediments during early Tertiary mountain building to form more than 80 anhydrite diapirs (domes). These domes are frequently the target of oil and gas exploration, although no hydrocarbons have yet been found on Axel Heiberg Island. Areas free from ice and snow (approximately 70%) are characterized by either unvegetated rock, regolith and frost-weathered debris, or sparsely vegetated tundra. The mountainous nature of the landscape limits vegetation primarily to valleys and lowland areas. The vegetation communities are typical of polar deserts and polar semideserts. Approximately 137 species of vascular flora and 131 species of mosses and liverworts have been reported for Axel Heiberg. The major plant communities include hummocky sedge-moss meadow, frost boil sedge-moss meadow, cushion plant-moss, moss-herb (polar desert), and wet sedge-moss meadow. The greatest diversity and species richness exists in and adjacent to sheltered tundra wetlands while exposed ridges and recent glacial deposits remain relatively barren. The fauna of Axel Heiberg is typical of the High Arctic polar desert. There are roughly 23 species of birds, including snow goose (Chen caerulescens), gyr-falcon (Falco rusticolus), rock ptarmigan (Lagospus mutus), turnstones (Arenaria interpres), jaegers (Stercorarius longicadus, S. parisiticus), Arctic tern (Sterna paradisaea), snowy owl (Nyctea scandiaca), snow bunting (Plectrophenax nivalis), and three species of gull. Eight species of terrestrial mammals exist on the island, including Arctic hare (Lepus arcti-cus), lemming (Dicrostonyx groenlandicus), Arctic wolf (Canus lupus arcticus), Arctic fox (Alopex lagopus), polar bear (Thalarctos maritimus), ermine (Mustela erminea), muskox (Ovibos moschatus), the endangered Peary caribou (Rangifer sp), and various marine mammals. Ice-free surfaces are underlain by continuous permafrost. A deep temperature record from an abandoned oil well at Mokka Fjord indicates a permafrost depth of approximately 540 m. Ice wedge polygons 8-14 m in diameter are common on most tundra surfaces. Patterned ground, mainly poorly sorted and nonsorted circles and stripes are common on sparsely vegetated surfaces. Ground ice is a common constituent of permafrost, and pore ice, segregated ice lenses, pingo, wedge, vein, and massive ice all occur throughout the island. Several pingos have been documented; most occur in glacier floodplains and are probably hydraulic system in nature. Massive ice may be either buried glacier ice or intrasedimental in origin. Three groups of perennial springs have been documented on Axel Heiberg and associated hydro-logic phenomena include icings, icing mounds, icing blisters, and frost blisters. Small palsa mounds occur in organic-rich wetlands. Despite the very cold climate of the region, it appears that many of the largest glaciers are wet-based and do not have well-developed permafrost. This has significant implications for subglacial erosional and hydrologic regimes. Axel Heiberg was first explored and mapped during the Second Norwegian Polar Expedition between 1898 and 1902, and named by Otto Sverdrup after Count Axel Heiberg, one of the sponsors of his expedition (Sverdrup, 1904). Several years later Robert Peary disputed Sverdup's claim, stating that in July 1898 he had observed an island beyond Nansen Sound from Ellesmere Island that he named Jesup Land (Peary, 1907). 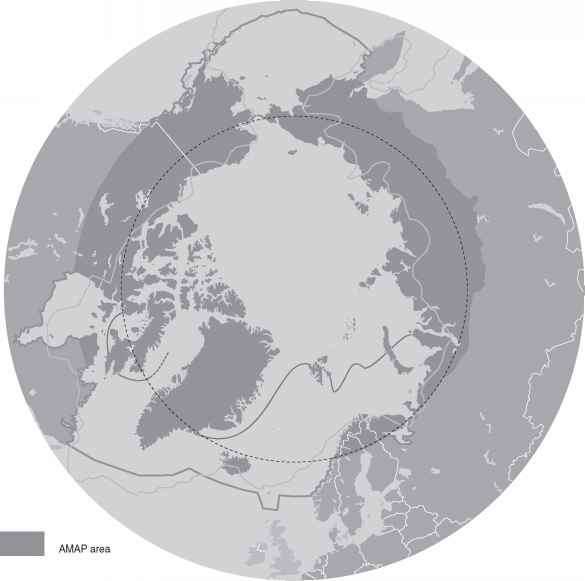 Later research demonstrated that what Peary had observed was actually an extension of the west coast of Ellesmere Island. Limited explo ration by Frederick Cook (1911), Vilhjalmur Stefansson (1917), Donald MacMillan and Fitzhugh Green (1918), Royal Canadian Mounted Police patrols (1920s and 1930s), and Christian Vibe (1940) occurred prior to World War II. Following the war, issues centered on national security and sovereignty stimulated a new era of intense interest in the Canadian Arctic. Widespread mapping and aerial photographic surveys were undertaken for much of the High Arctic, including Axel Heiberg. As part of a major reconnaissance mapping project in the Queen Elizabeth Islands ("Operation Franklin") in 1955, two geologists from the Geological Survey of Canada made two traverses across the island. A series of general reports describing the ice cover and geography of the island from aerial photographs were produced during the 1950s. In the late 1950s, a McGill University (Montreal) scientific expedition led by Fritz Müller established a research base on Color Lake at Expedition Fjord (79°26' N 90°46' W) on the west central side of Axel Heiberg. The McGill Research Station on Axel Heiberg was built in 1960 following an exploration field season in 1959. From 1959 to 1963, the expedition undertook detailed investigations on the glaciology, geology, geomor-phology, climatology, and biology of Axel Heiberg with a focus on the Expedition Fjord region. The McGill Arctic Research Station is still in operation and supports an international program of research, providing one of the most impressive environmental databases in the Arctic. Axel Heiberg is uninhabited. The nearest community is Grise Fjord on southern Ellesmere Island. The McGill University Arctic Research Station (MARS) is the only scientific facility on the island. Researchers know little regarding the island's historical occupation, although they have documented a number of Thule sites at Buchanan Lake and along Eureka Sound on the east side of Axel Heiberg.